Wood Countertops - which is right for you? Clients often ask us about wood countertops. These are available in three distinct types, based on the way the wood is glued up to make the top. At Simpson Cabinetry we make face up wood countertops in our shop. We can special order edge up or end up (butcher block) countertops for our clients and finish them in-house. Below is a description and photo of each. 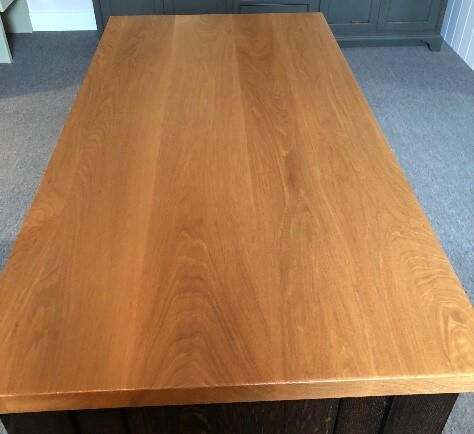 The edges of the boards are glued together, leaving the face up and resulting in a wider spacing between seams with nicely visible wood grain, such as you would see on a wooden table. These are the counters we have in our showroom and make in-house. The faces of the boards are glued together, leaving the edges up and resulting in many close seams. These are common in restaurant kitchens. We special order these tops, which we cut to size and finish in-house. In this traditional butcher block style, individual pieces of board are glued together to make a checkerboard pattern with seams on all four sides of each small piece. 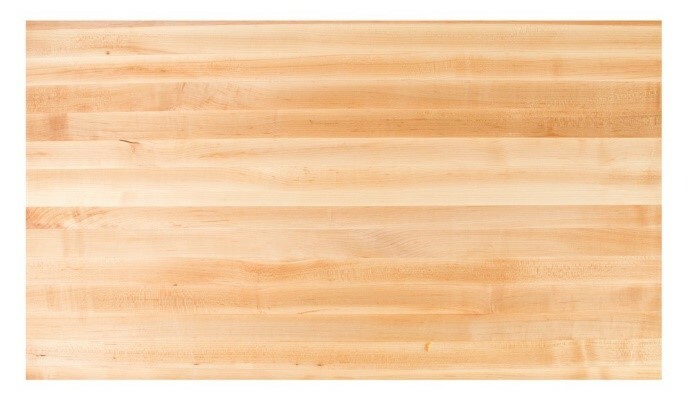 Traditional butcher block countertops are much thicker than the other two types because the individual pieces need to be at least 2 1/4” thick for strength and stability. These are special order tops which we finish in-house.